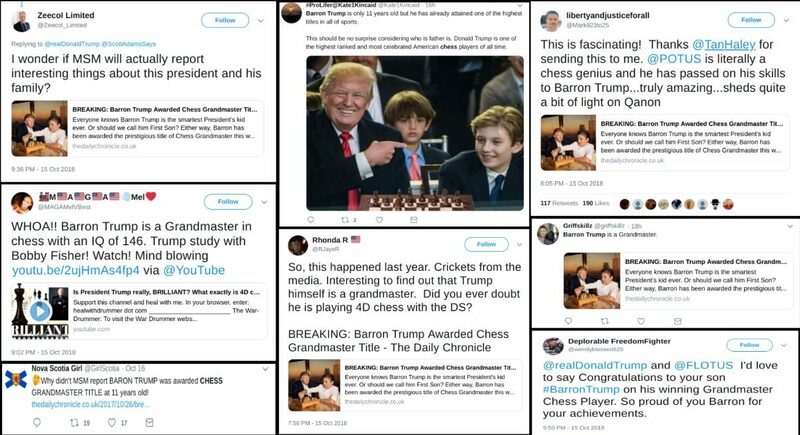 FACT CHECK: Is Barron Trump a Chess Grandmaster? Is Barron Trump a Chess Grandmaster? Barron Trump was once photographed with a chess set, but that doesn't make him a Grandmaster. Barron Trump has earned the title of Chess Grandmaster. The tweets pushing this rumor also made several other outlandish claims: Some held that Barron Trump had an IQ of 146; others maintained that Barron’s father Donald Trump studied under chess legend Bobby Fischer and was himself one of the most celebrated chess players of all time. Many of these tweets were also accompanied by the accusation that the mainstream news media was ignoring the many chess-related accomplishments of the Trump family. While it’s true that mainstream news has largely ignored these stories, that circumstance isn’t due to any perceived bias. These reports were left uncovered for the simple fact that they were untrue. Everyone knows Barron Trump is the smartest President’s kid ever. Or should we call him First Son? This should be no surprise considering who is father is. Donald Trump is one of the highest ranked and most celebrated American chess players of all time. In the 1970s and 80s, Donald Trump studied under the tutelage of players like Bobby Fischer. Eventually, he won hundreds of chess tournaments abroad before retiring at the ripe old age of 40. Although the Daily Chronicle website states that they are “All About The Facts, Not Feelings” on their About page, they acknowledge that they publish satirical content in their privacy disclaimer. 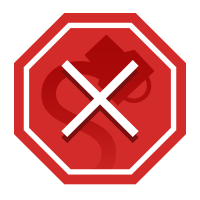 We double-checked anyway and found that Barron Trump was not listed among the 1600+ Chess Grandmasters in the World Chess Federation’s database. If Barron Trump were truly awarded such a title at the age of 11, it would have been newsworthy not only because he is the son of a president, but also because he would have been the youngest person to ever achieve that honor. As of this writing, Sergey Karjakin holds the record for youngest Chess Grandmaster, having been awarded the title in 2003 at the age of 12 years and 7 months. The Daily Chronicle. 26 October 2017.